Design by Ruben Pater, LAVA Amsterdam. The 13th Istanbul Biennial Public Programme titled Public Alchemy examines the ways in which publicness can be reclaimed as an artistic and political tool in the context of global financial imperialism and local social fracture. 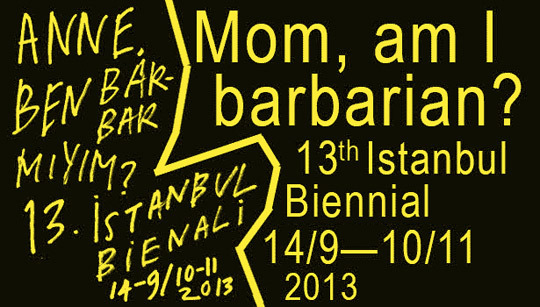 From February to November 2013, a series of lectures, workshops, seminars, performances and poetry readings will examine how a political, poetic alchemy is at work, both in Turkey and across the world in which conventional concepts of ‘the public’ are being transformed.